Far left Rep. Henry Waxman (D-CA) announced his retirement today – knocking the Tea Party on his way out the door. Representative Henry A. Waxman of California, a diminutive Democratic giant whose 40 years in the House produced some of the most important legislation of the era, will announce on Thursday that he is retiring at the end of the year. Mr. Waxman, 74, joins the growing list of House members who are calling it quits, many in disappointment over the partisanship and ineffectiveness of a Congress that may end up as the least productive in history. His retirement may open the door for New Age author, and far left crackpot, Marianne Williamson. The Community House was packed with more than 200 people on Wednesday, Jan. 8 who had come to volunteer for her campaign and purchase tee shirts. An equally large group crowded into Froggy’s on Saturday, Jan. 11 to hear the New Age author (“A Return to Love”) speak of radical political change. As a registered Independent from West Hollywood, Williamson, 61, is challenging longtime incumbent Rep. Henry Waxman (D-Beverly Hills) for the congressional seat he first won in the 1970’s. Williamson cited a laundry list of concerns ranging from mass incarceration of blacks and Latinos, government spying, a growing gap between rich and poor, child poverty (the second highest in the world) the “corruption of our food supply” via genetic modification and high-fructose corn syrup. 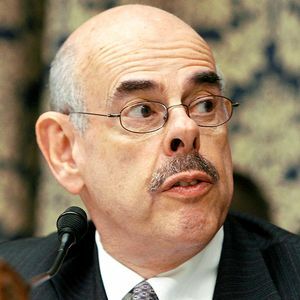 In 2011, Rep. Henry Waxman (D-CCA) told reporters that Jews vote Republican because they are greedy and want to keep their wealth.